P.I.M.S (Plastic Injection Moulding Services) are Plastic Injection Moulding Specialists. We are a well established company with a modern, clean factory environment using the latest equipment as you will see from our plant list that we have an exceptional range of machinery as well as ample capacity to ensure that we meet your delivery requirements. With P.I.M.S you have the security of a supplier who will meet your quality and delivery requirements, as a small company you will receive a very personal service. P.I.M.S can help whatever your requirement, offering you a full range of plastic injection moulding services from design, mould making, injection moulding our full finishing service includes assembly, printing and any finished packaging requirements, delivery service available. We have over 65 years experience in tool design, injection moulding and finishing. 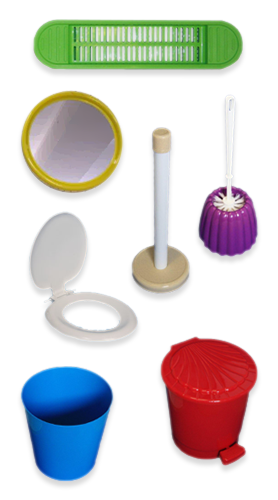 We are proud to be the UK’s largest manufacturer of plastic bathroom ware.